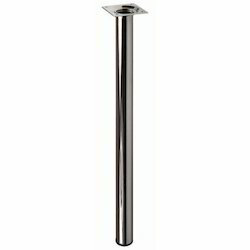 We are a leading Manufacturer of stainless steel legs, metal table leg and steel railing pillars from Mumbai, India. 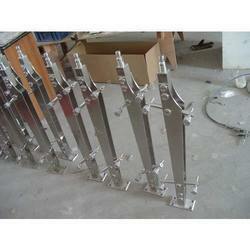 We are offering Stainless Steel Legs to our customers. Threaded steel stem, welded or separate plates provided for easy mounting. Removable mounting plates are sold and packed separately. 3" (76 mm) adjustment available. 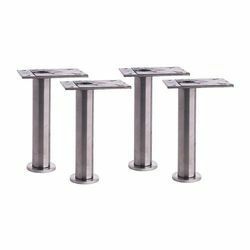 Our range of Metal table legs is a great place to start if you’re thinking of creating your own table or work station from our range. We’ve got a variety of colors to choose from, and materials and styles designed to give you the utmost flexibility when designing your table. But we don’t just stock normal metal table legs; you can even mix and match legs with trestles, allowing you to create a table from scratch that’s easy to put together, and unique to your home office.